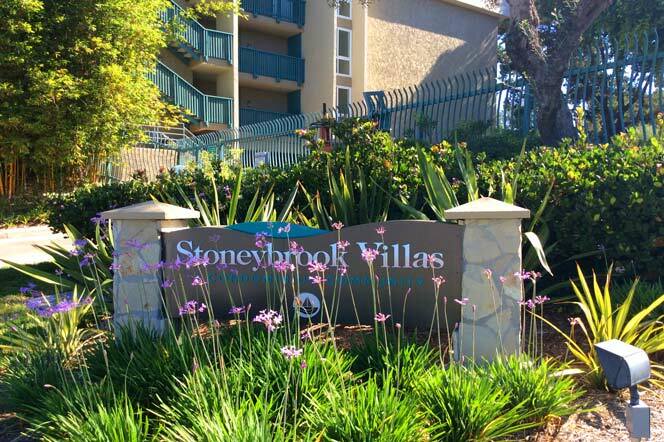 The Stoney Brook Villas is a community of condominiums located in the Belmont Heights area of Long Beach, California just off of 7th Street and Bellflower road. These well-maintained condos for sale provide the perfect opportunity for resort-style living at it’s finest with luxurious community common areas including a huge pool, sauna, barbeques, tennis courts, and a state-of-the-art recreational facility. The majority of the condos in Stoney Brook Villas are single bedroom, one story, and roughly 700 square foot boasting beautiful amenities such as hardwood floors, spacious open floor plans, and large sliding glass doors that provide excellent views. Stoney Brook Villas complex offers a prime location in the Belmont Heights area. Condos in the Stoney Brook Villas community extremely reasonably priced for the perks that come along with living here starting at $260,000 and can reach up to $279,000 with a low homeowners association dues of $330.00 a year.